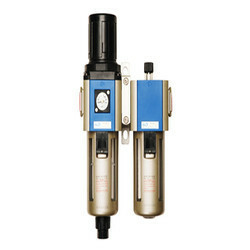 Pioneers in the industry, we offer filter regulator lubricator, quick exhaust valves, qrc check valves blow guns and flow control valves from India. G 1/4 to G 3/4 inch Quick Exhaust Vales are used to increase the cylinder piston Speed by around 2 times. 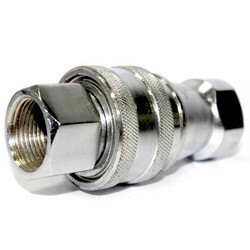 These Airline Accessories are used for performing Supportive Pneumatic Function such as easy connection / Disconnection Betweed peneumatic lines, allowing air flow only in one direction and controlling air jet for blowing off. These Flow Control Valves allow free flow in one direction and controlled flow in the other so as to regular the speed of cylinder. 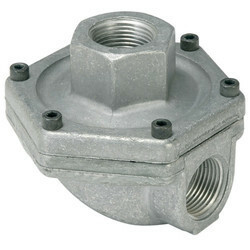 G 1/8 to G 1/2 inch Banjo flow Control Vales for direct mounting on cylinder Port. 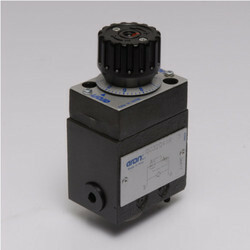 G 1/8 to B 3/4 inch Inline Flow control Vales for line or panel Mounting. Both the above versions available with knob type recess type design.